Would you like to do good in the world? Do you have the goal of being philanthropic? Does a tax situation give you a little push to give some of your hard earned money away? Or do you just have some money you just like to give away, just because? 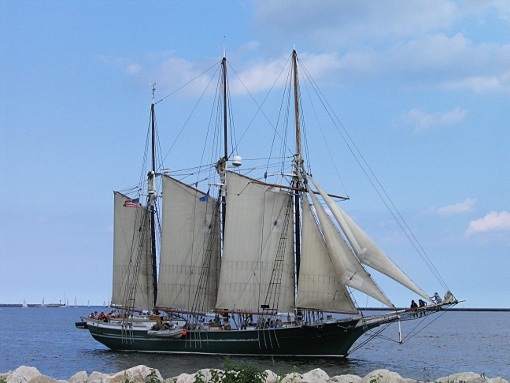 And if you haven't been to many or any of these maritime museums, take the Lake Michigan Circle Tour, and make it worth your while and learn more about Lake Michigan along the way. 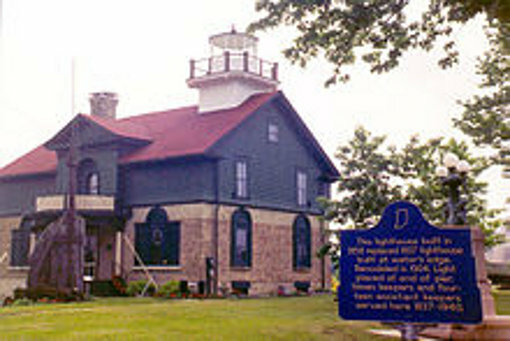 Door County Maritime Museum, Sturgeon Bay, Cana Island Lighthouse, Gills Rock. 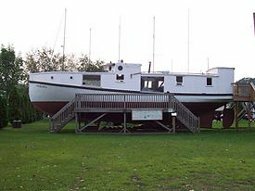 Housing the history of Door County, records, ships, models, 1919 tug boat, fishing tug, a Great Lakes pirate, and other artifacts. 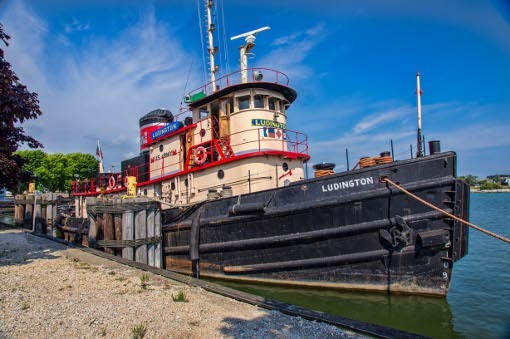 Tug Ludington, Kewaunee. Participated in the D-Day Invasion of Normandy. Wisconsin Maritime Museum & USS Cobia Submarine, Manitowoc. 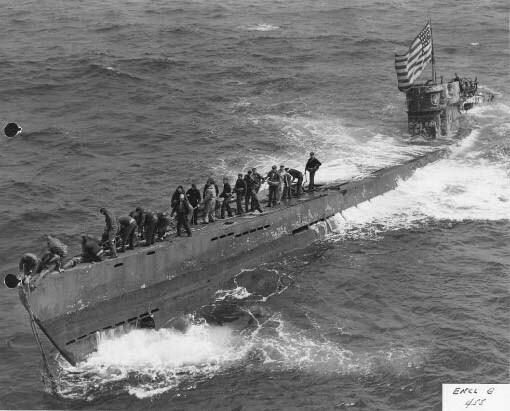 A WWII U.S. submarine built in Manitowoc, which sank three Japanese vessels. There is a large museum building with many exhibits. Lake Schooner S. V. Denis Sullivan & Discovery World, Milwaukee. Built from scratch and launched in 2000, she represents what Lake Schooners looked like carrying building materials and goods up and down the Lake in yesteryear. A beautiful sight she is. Great Lakes Naval Museum, Great Lakes. Houses 40,000 historic artifacts and archival records. 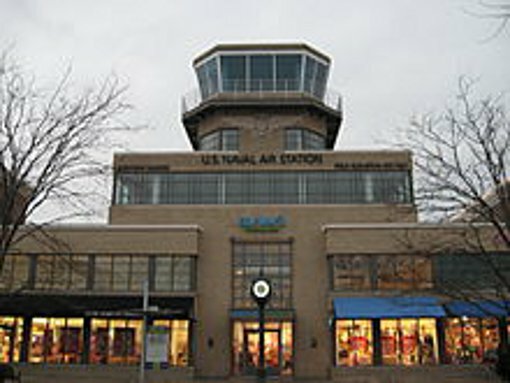 Naval Air Station Glenview Museum, Glenview. At one time, all aircraft carrier pilots were trained and flew out of this military base, including President George H. Bush. 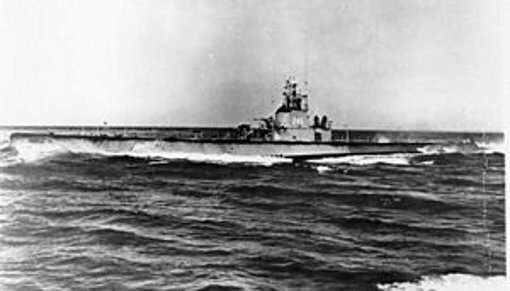 Their practice aircraft carriers were on Lake Michigan and called the Wolverine and Sable. Chicago Maritime Museum, Chicago. 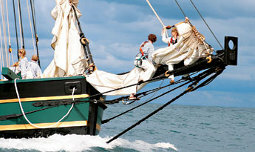 Recently the Chicago Maritime Museum moved into a new beautiful location, its worth the visit. For eons, I have not fathomed how Chicago has not included this museum on their lakefront museum campus. Chicago became the powerhouse it is today because it began as a huge trading place due to the meeting up of the Lake to the Chicago River, and later the railways that had to bend around the bottom of the Lake to get from East to West and vice versa. Chicagoans need a place to remember the foundation of trade. Museum of Science and Industry (WWII German U-505 Submarine), Chicago. Be sure to earmark your donation to the U-505 Submarine! Icebreaker Mackinaw Maritime Museum, Mackinaw City. The "Queen of the Great Lakes" plowed through ice to keep lanes open for freighter shipping traffic during the winter. Now retired, she offers overnight sleepovers to scout troops as well as tours. Inland Seas Education Center, Suttons Bay. In both their training center and aboard their tall ship Inland Seas they teach aquatic science, ecology, history, geography, biology, geology, chemistry and meteorology to over 100,000 students of all ages using a staff of over 120 individuals. Leelanau Historical Society, Leeland. Shipwrecks of the Manitou Passage, annual wooden boats including Chris Craft, Century, Lyman and Garwood. S. S. City of Milwaukee & USCGC Acacia, Manistee. The Steam Ship City of Milwaukee (left) is a railroad car ferry built in 1931. 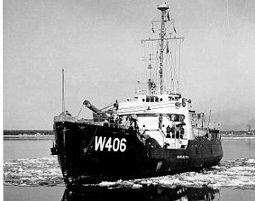 The United State Coast Guard Cutter Acacia was a buoy tender, providing icebreaking, search and rescue, and firefighting built during WWII. Besides scheduled tours, group overnights include a tour of S.S. City of Milwaukee and a sleepover on Acacia. 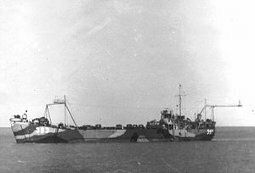 Landing Ship Tank (LST) 393, Muskegon. Landing Ship Tank 393 delivered tanks, amphibious assault vehicles, and troops to beaches. S. S. Milwaukee Clipper, Muskegon. 361' long 45' wide, built in Cleveland, OH in 1904 launched as Juniata carried passengers and freight. 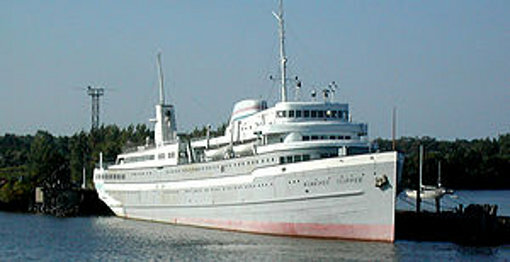 Then in 1940 the boat was rebuilt and modernized for car and passenger carrying between Milwaukee, WI and Muskegon, MI. 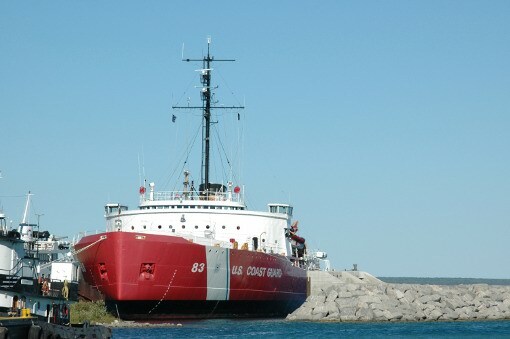 When she retired, she was hauled ashore in Sturgeon Bay, WI. The ship was launched (around 1980) and was towed to Navy Pier, I was sent down and took the lines from the mates onboard and tied her up solo on the dock. 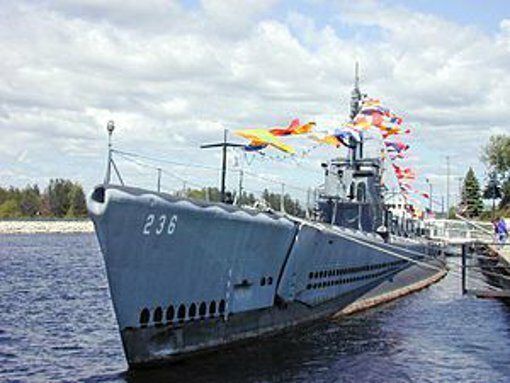 Great Lakes Naval Memorial & Museum & USS Silversides Submarine, Muskegon. Do you remember when the USS Silversides was tide up to Navy Pier in Chicago? It was credited with sinking 23 Japanese ships during WWII. She now lives in Muskegon. USCGC McLane built by American Brown Boveri Electric Corp on April 8, 1927 served in WWI on the West, Gulf and East Coast and had dropped depth charges on an enemy submarine in the Alaskan Bering Sea. Later she was turned over to the USCG for buoy tender service. 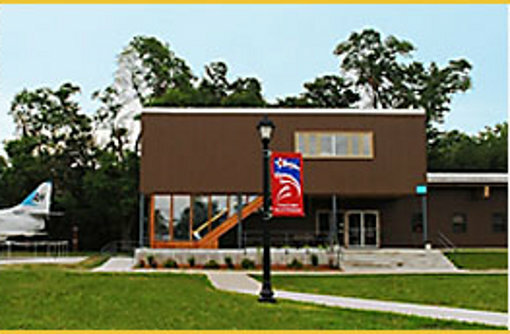 Tri Cities Museum, Grand Haven. Displays on Coast Guard City USA, 1930's footage on cutting trees into ships, pier safety, maritime walk, lake Michigan lighthouses and their history, lighthouse keepers, Christmas tree ship, and more. Give freely to these organizations, open your checkbook, or go online and submit a donation electronically. Your money will go to preserve these structures for future generations to see, explore and understand. As with making any donations, it is always advisable to work with your tax adviser. Some do-it-yourselfers use Guide Star to see the IRS-990 tax returns and other information on a charity before donating. At the time of this publishing, the charities above are listed on the IRS charitable list.